Sportsnet Central Montreal, hosted by Elias Makos, centre. Sportsnet Central Montreal, the weekly half-hour sports panel discussion show on City Montreal, has been cancelled by Rogers Media. Thursday’s show will be its last. Rogers Media is evolving its local strategy to better serve the Montreal community. In doing this we’re deepening our commitment to local news with the launch of daily newscast CityNews in Winter 2018. As a result of this re-focused strategy, SN Central will have its last broadcast this Thursday, August 31 at 6:30 p.m. We’d like to thank Elias Makos and all of our contributors for their smart and entertaining commentary on Montreal’s sports scene. City will continue to provide coverage of Montreal sports teams and events on Breakfast Television, featuring Joanne Vrakas, Derick Fage, Catherine Verdon Diamond, Elias Makos and Domenic Fazioli as well as through our new CityNews newscast, launching Winter 2018. Makos remains with City, as the new media producer and occasional fill-in host or weather presenter on Breakfast Television. The last show will be broadcast mere hours before the condition of licence requiring the station to broadcast the show expires. As of Sept. 1, City Montreal (CJNT-DT) has standard conditions of licence regarding local programming. The cancellation of the show makes sense since the new evening newscasts would take over all three of its timeslots. But that won’t happen until next winter. The new CityNews newscasts in Edmonton and Winnipeg will start on Sept. 4, and the rest in winter 2018. The newscasts will each be one hour long and seven days a week. Details are a bit sketchy at this point and no talent has been announced. I’ve asked how many new jobs this will mean and will update when I hear back. Rogers has confirmed to me that local Breakfast Television broadcasts will remain in markets that already have them (Edmonton and Winnipeg are the ones that don’t), so this will be a net increase in local programming. But since the evening newscasts would meet the CRTC-required 14 hours a week of local programming in major markets, Rogers could in the future decide to cancel BT or make it non-local and still meet its licence obligations. The decision to add local newscasts comes on the heels of a few recent CRTC decisions on television policy. First, major vertically-integrated companies were given the flexibility to take money away from community television channels and redirect it to their own local commercial TV stations. Rogers is among those to have made major cuts to community TV, and CityNews is being improved with this money from Rogers cable customers. The second is a new requirement for locally reflective news programming, issued as part of licence renewals that take effect on Sept. 1 (six hours a week in large markets, three hours in other markets). Rogers’s existing Breakfast Television and Dinner Television programs (and certainly its radio-on-TV programs) doesn’t have much of that (BT Montreal has a single news reporter), and so it decided to take the plunge into evening newscasts, where it will go up against CTV, Global and CBC in all of these markets. The only station not getting a local newscast is City Saskatchewan, which is actually a cable channel that’s officially licensed as an educational broadcaster. There aren’t many details on content, but there will be sports content from Sportsnet and stories from Rogers’s magazines including Maclean’s. It’s unclear how much national multi-market content will be used. 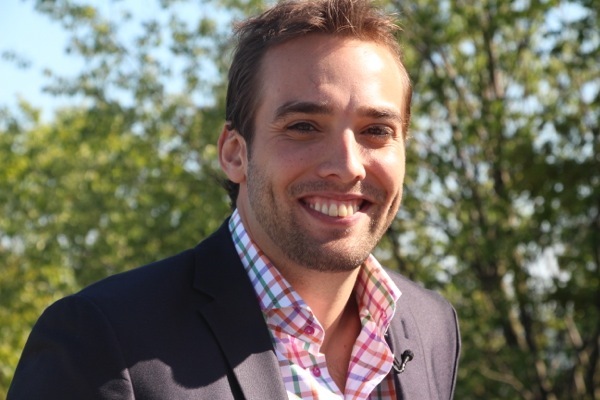 Less than three weeks after officially announcing the departure of Alexandre Despatie, Rogers Media has announced his replacement: Derick Fage, a host on the Rogers TV community channel in Ottawa who has filled in as host at BT Montreal this year. He starts Jan. 4. Wilder Weir, who has been co-hosting with Joanne Vrakas in the interim, returns to his role as Live Eye reporter, in addition to being the host of Sportsnet Central Montreal.